Buddhism originated in India in the 5th Century BC and since then, it has spread throughout the world, particularly in eastern Asia with over a half of a billion adherents. Buddhist funeral practices vary greatly by country where local beliefs and traditions have been blended with the religion. Services are generally well planned and full of symbolism. An image of Buddha is set in front of the casket by an altar with offerings of fruit, flowers, incense, and candles. Sometimes hot cooked meals are also included on the altar. Many of the Buddhist services last two or three days. The ceremony is usually conducted by monks or by family members. The ceremony consists of chanting mantras, with orchestrated movements by attendees. (Guests of other faiths are not expected to participate in the proceedings.) Out of respect, custom dictates that one’s back is never to be turned toward the deceased. Cremation is the usual final disposition. At the end of the service, monks lead the procession to the crematory for all to witness the cremation. In Vietnamese, Japanese and Korean Buddhist traditions, dark, somber colors are customary. In Cambodian or Thai traditions, white or light colors are advised. When attending a Buddhist service, a kind gesture is to send flowers, which often consists of standing floral sprays. Christian funeral services celebrate the life that was lived and mourn the life that has been lost, with hope in the knowledge that friends and family will one day be reunited in the afterlife. With roots in Judaism, Christianity started small and, as it grew over time, began to pass by more and more Jewish customs. In recent times, there has been resurgence in re-attaining Jewish practices as well as a growing gratitude for Judaism. This has not yet translated into funeral practices, as Christian funerals remain uniquely different. Generally, services consist of a visitation, a funeral service, and a burial service. Burial has traditionally been the final disposition; however, cremation rates are growing rapidly among Christians, nearing 50 percent in some areas of the country. In recent years, the rules around acceptable funeral attire have become much more relaxed than the fairly formal requirements of years ago. While a traditional black suit or dress may still be appropriate for some funerals, you’ll find more variety and more color at most modern services. When in doubt, it’s probably safe to choose more conservative options if you are concerned about being underdressed. Flowers or potted plants are often sent, or a charity is chosen by the immediate family requesting memorial donations in lieu of flowers. In Hindu custom, the Pujan (reverent worship ceremony) offered prior to the Agani Daha (cremation) of a deceased individual is called by various names such as Antesthi Pujan or Shat Pindi Pujan. During the ceremony, music will be played; and prayers and eulogies are offered for the deceased along with ceremonial anointing of the deceased with ghee (clarified butter) and flower petals. The Pujan concludes with the witnessing of the Agani Daha (cremation) in the retort chamber followed by a chanting of sacred prayers and the recession from the crematory. For family and friends attending a funeral Pujan, it is appropriate to remove one’s shoes when entering the funeral parlor. Dress casually yet conservatively, no head coverings are required. It is customary to wear white or light colored clothing. Traditionally there are no floral tributes displayed in the funeral home during the Pujan, however this is left to the discretion of the deceased’s family and friends. 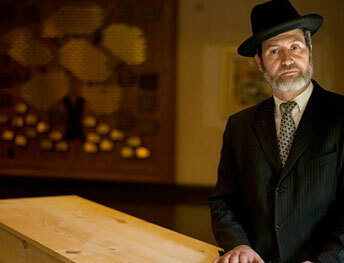 Jewish funerals are a solemn event, with the highest respect shown for the deceased. At death, all persons are considered equal; and the poor have the same respectful burial as a rich person. To this end, caskets are plain and simple so that all are afforded the same respectful burial, regardless of financial status. Music and flowers, with the possible exception of a small casket spray, are not part of the ceremony because these are associated with celebrations. After the burial, condolence calls be made, where fruit or kosher foods may be given but not flowers. Also appropriate is a memorial contribution to a charity. Proper attire for a funeral is a dress for women and a coat and tie for men. It is generally customary for men to wear a head covering, called a kippah or yarmulke, during a funeral and burial. Funerals celebrate the completion of a life. Death is the natural part of the journey of the soul, and the soul never dies but continues on to rebirth. Hymns are sung and prayers are recited. Cremation is usually the final disposition. Fairfax Memorial Funeral Home works closely with the Sikh Foundation to provide a culturally significant service memorializing the life of the deceased. A jacket and tie or more casual, modest clothing. Shoes may be worn inside the funeral home but not in the gurdwara service. The head should be covered. There are no rules regarding the color of clothing. Women: A modest dress, a skirt and blouse, or a pants suit. Shoes may be worn inside the funeral home but not at the gurdwara service. The head should be covered with a scarf, hat or veil. Open-toed shoes and modest jewelry are acceptable. There are no rules regarding the color of clothing. 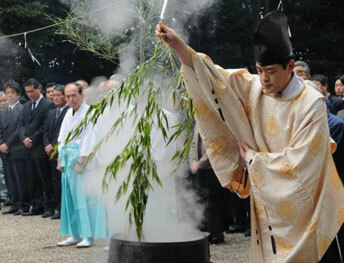 In addition to religious observances, funeral customs have also been fashioned by cultural practices. The expressiveness unique to Ethiopian services, the distinctive honor given in the Korean services, and the multifaceted symbolism of many eastern countries compose diverse and rich funeral customs worldwide. Fairfax Memorial welcomes and holds services for families from all over the world, providing for the unique customs from many nations.